Photo by Anna Meassick|CIGAR| Current clothing donation bins are tucked away at the top of campus in the Emporium, far from the residence halls. and the earth is getting no bigger. The United States is one of the world’s leading trash generators. This exponential growth of waste is leading to pollution of rivers and seas, toxic discharge going into the atmosphere and health concerns. The fashion industry is certainly no exception in contributing to waste. Over 16 million tons of textile waste were generated in 2014 alone, according to a study conducted by the Secondary Materials and Recycled Textiles Association. With fast fashion retailers such as Forever 21 and H&M growing in popularity, there has been an increase in discarded clothing. Fashions sold at these stores are trendy and low in quality with low resale value. “It’s only two or three wears you get out of these types of clothing, then people throw them away and then they fill up landfills,” Linda Welters, a professor in the department of textiles, fashion merchandising and design, said regarding fast fashion outfitters. Students studying in this department at the University of Rhode Island recognize the issue and are seeking sustainable options for old or used clothing, including donation, gifting and upcycling, or repurposing with creativity. Welters’ TMD 103G course in Textiles, Fashion and Sustainability sought to find out what students and their peers are doing with their old clothing. 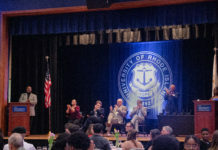 The class surveyed 154 people, most of which are students here at URI in the age range of 17-23, 81 percent of which are female. Sixteen percent of people surveyed admitted to throwing away their old clothing rather than donating or repurposing. It was also found that 26 percent of people did not have access to a donation bin for used clothing. “There are lots of ways other than contributing to landfill to dispose of used clothing. You can burn it, but burning creates fumes that [depending on the material] can be very toxic,” Killian Maloney, a student participating in TMD 103G, said. The most ecologically responsible option is to donate. The eco-savvy minds of TMD 103G have come up with the idea of introducing Planet Aid donation bins here on campus, something the campus does not currently offer. Planet Aid is a non-profit organization that collects and ships old clothing and shoes to developing countries, where items can be sold locally. This creates jobs and benefits families who don’t have much to spend on clothing, giving what would otherwise be sitting in landfill a purpose. Welters is hoping that this idea will become a reality by the fall of 2018. “Pretty much anything you have, even if it’s old or worn out, can go into one of these Planet Aid donation bins,” Welters said. 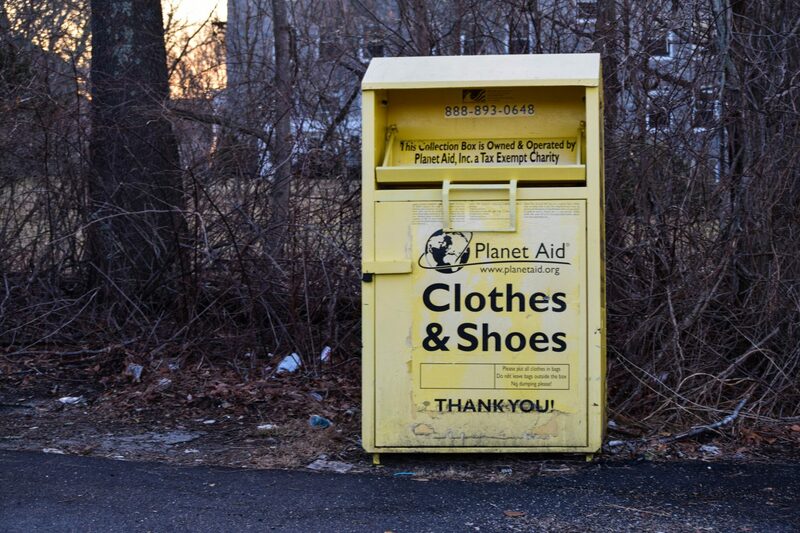 Putting Planet Aid receptacles near the dormitories will allow for easy donation of unwanted clothes that may be taking up valuable space in the confined dorm closets, or out-of-date fashions that don’t needed to be packed back up when moving out. “I always end up with too many clothes to fit in my closet, and I would love to have the option of donating my extra clothes here on campus,” Grace Azzara, a first-year student, said. “I honestly didn’t know there were no donation bins on campus, but now that I do, I feel like we need one,” Claire Cargill, a freshman, said. “We push sustainability at the University of Rhode Island,” Welters said. This initiative would be a great step in making URI greener, with the help of all students here on campus.